Thank you Travel Tacoma for partnering on this post! On the shores of Puget Sound with Mount Rainier standing watch to the east, sits urban port city Tacoma, Washington, an ideal spot for an urban weekend getaway. 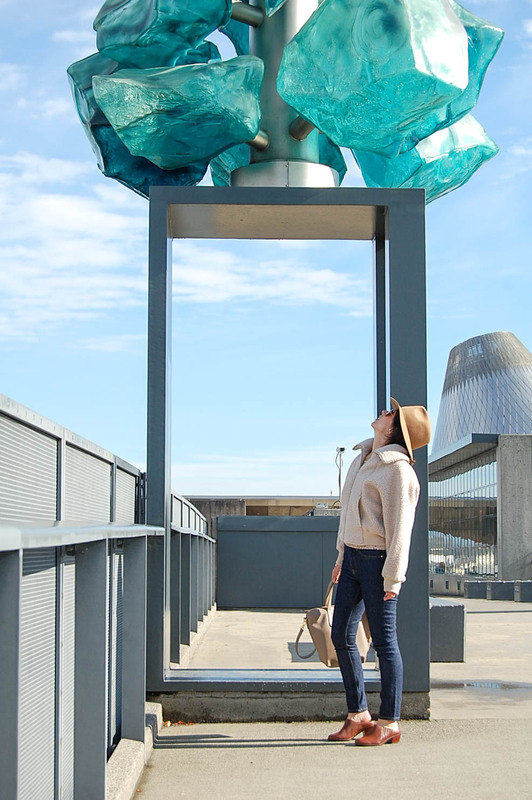 Just south of Seattle, Tacoma is known for it's world renowned glass art, and is quickly becoming a destination for new restaurants, indie boutiques, beautiful natural parks, art museums, music venues and a stunning waterfront on the saltwater banks of Puget Sound. Growing up in the Pacific Northwest and the Seattle area, I have to admit I previously thought I had only two reasons to visit Tacoma. One was to attend High School state championship basketball games when our team made it (and miss school!) and two, in college, to go to Dave Matthews Band concerts at the Tacoma Dome. But that has all changed after a recent weekend getaway to Tacoma! 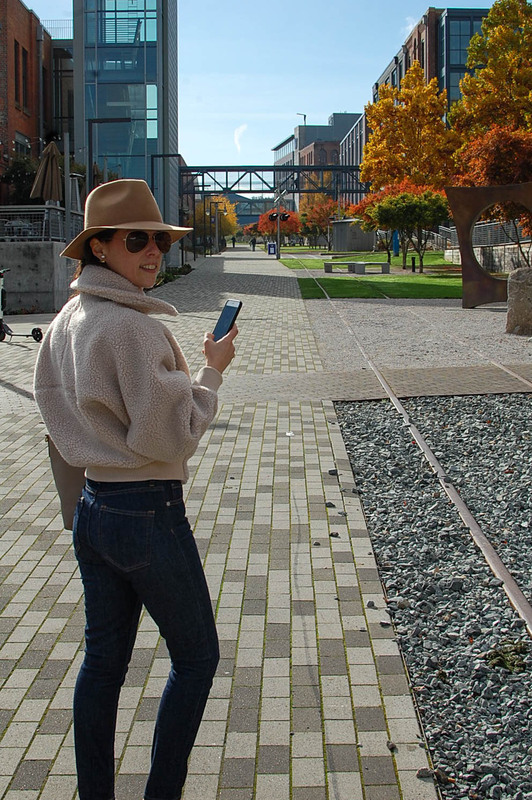 I recently partnered with Travel Tacoma for a 3 day, 2 night visit to Tacoma, WA and quickly fell in love with this vibrant and sophisticated old-meets-new City alive with art, shopping, food, nature and culture. We (my husband S and I) departed Seattle on Friday evening post-work. We bid adieu to our sweet kitty's and after a short drive south on Interstate 5, we arrived at Hotel Murano in downtown Tacoma, where we would stay for the weekend. 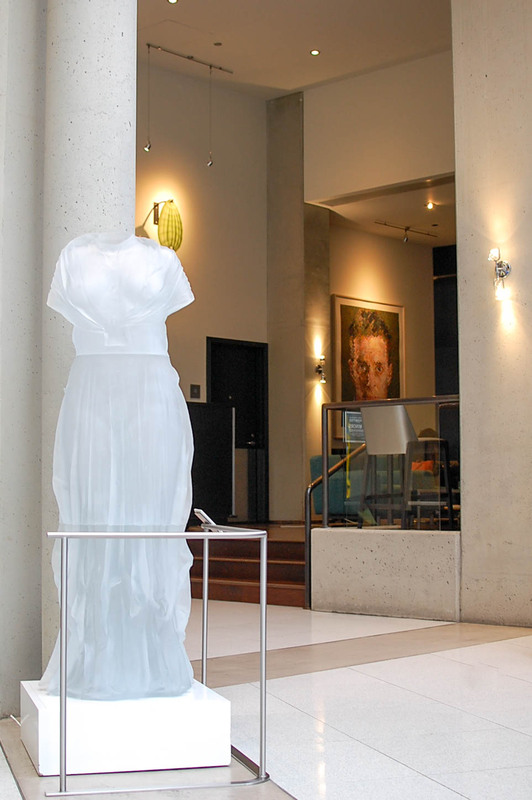 A gorgeous luxury hotel within walking distance of many of the city's best shops, museums and restaurants, Hotel Murano also boasts an in-house glass art collection that is just stunning. 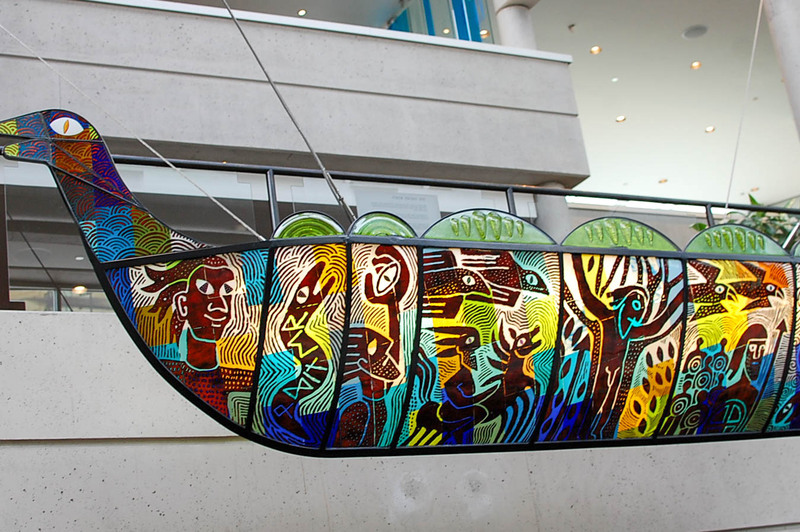 Each floor features a piece of glass art by an internationally known artist and the lobby alone is worth stopping by to view, even if you are staying elsewhere. 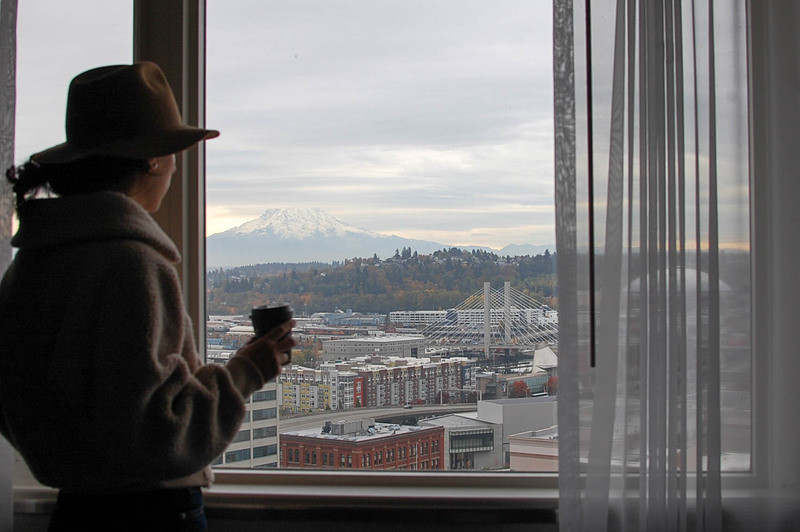 Our room was clean, modern, comfortable and had the most incredible view of the Tacoma Dome and Mount Rainier. It was incredibly inviting. Since S and I were feeling tired after a long week, we decided to just grab some fast food (sorry Mom! ), watch TV in our room and catch up on z's so we could get up early and explore Tacoma. Exactly what we needed. After an ever so restful night's sleep and coffee in our room with views of Mount Rainier, we enjoyed a delicious weekend brunch at Hotel Murano's Bite Restaurant. With a focus on local and seasonal American cuisine (they have their own bee hives on the roof for honey! ), Bite is the perfect spot to start your day. S chose a classic omelet and potatoes and I opted for house made muesli, a croissant and OJ. Coffee for both of us, too, of course. It was delicious and the perfect first stop before stepping out to explore. After some shopping and a quick coffee break at Anthem Coffee, we ventured across the Chihuly Bridge of Glass, one of the most photographed spots in Tacoma. 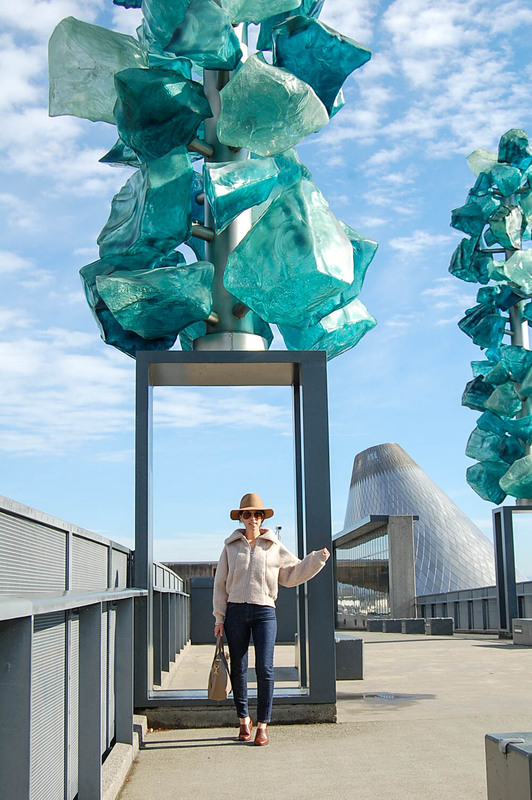 Composed of 2,400 pieces of Dale Chihuly glass art worked into three separate installations, the Bridge of Glass alone is worth a visit to Tacoma. Connecting downtown Tacoma to the waterfront and Pacific Avenue to the Musuem of Glass, the Chihuly Bridge of Glass was absolutely one of the highlights of our weekend. 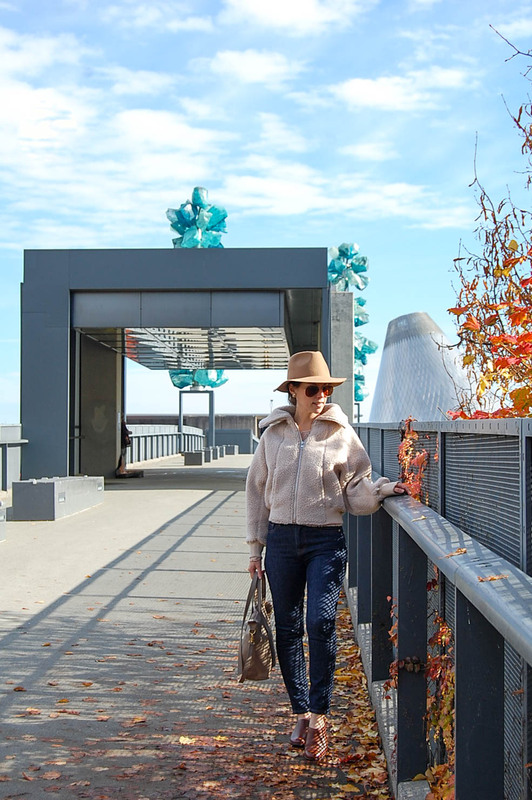 From Pacific Avenue, the Bridge of Glass lead directly to the Museum of Glass, our next stop. Down the stairs from the bridge, the Museum of Glass is an architecturally gorgeous museum with an incredible glass art collection. There's even a functioning hot shop with an auditorium, where you can watch glass artists at work. The hot shop was our first stop inside the museum. 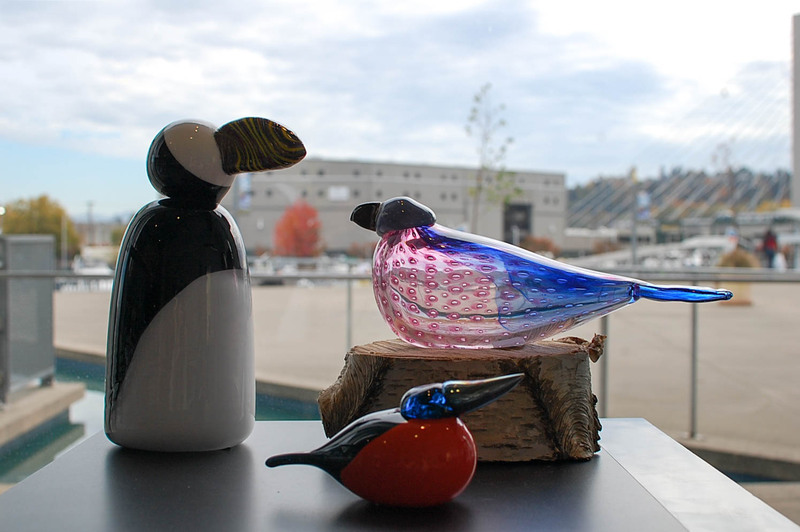 We could quite literally feel the heat as we watched glass artists from internationally renowned Finnish design company littala working in the West Coast's largest hot shop creating beautiful glass birds, as we just happened to visit the museum on the 15th annual Bird Lovers' weekend! After a visit to the hot shop, it was time to explore the exhibits. We started with the Preston Singletary: Raven and the Box of Delight exhibit in the Viola A. Chihuly and North Galleries. This incredible exhibit allows you to experience Raven's journey as he transforms the world, bringing light to the people via the stars, moon and sun. This Tlingit story unfolds through an experiential journey of artwork, storytelling, lighting and music and runs through September 2, 2019 and is a must see! Next up was Spotlight on Dale Chihuly: Works from the Musuem of Glass Permanent Collection. This ongoing exhibit is a celebration of the artistic innovation of Dale Chihuly and honors his impact on the studio glass movement and connection to Tacoma and the Pacific Northwest and features the stunning Gibson Chandelier. 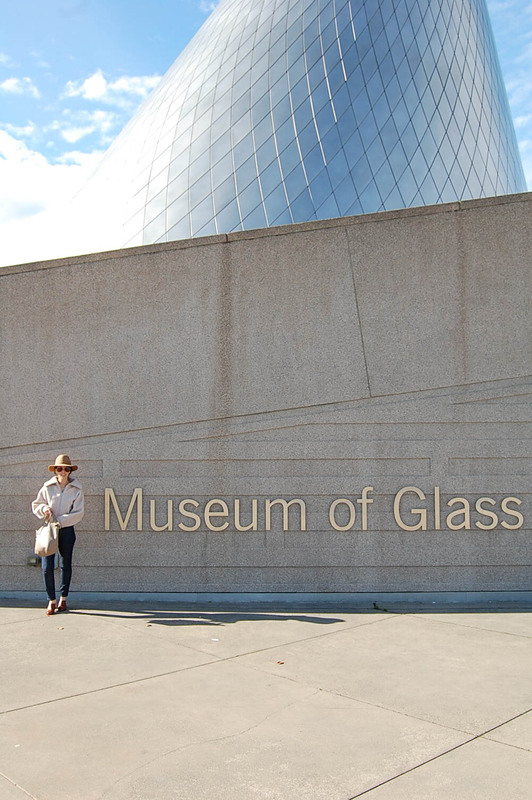 We finished our visit to the Musuem of Glass with a stop in the Museum store to pick up a few souvenirs and gifts for friends and family. We also admired potential pieces of art we might consider in the future for on display in our home and made plans to return to purchase. 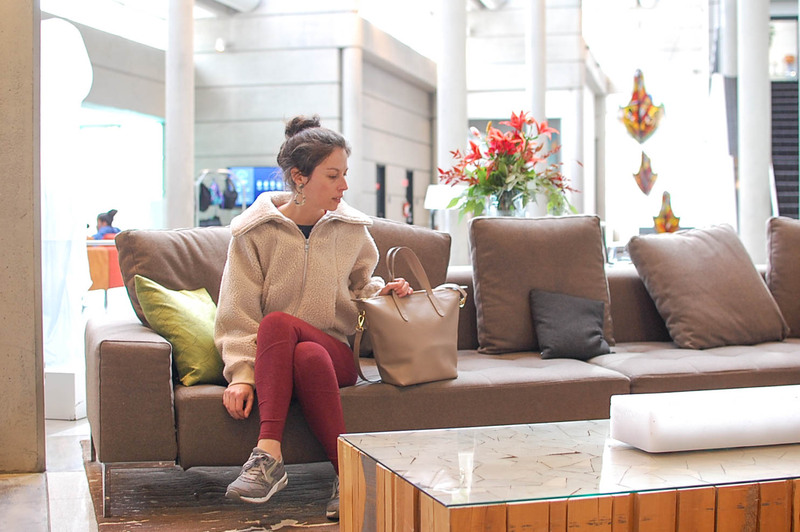 After the museum, it was time for a bit of rest and we headed back to Hotel Murano on foot. After a short 10 minute or so walk, we arrived back at our hotel. For S, that meant a nap in our hotel room and for me that meant it was time for the spa! I was booked for a 45-minute body scrub called the Vichy Treatment, one of Savi's most unique body care services for total relaxation and skincare results (there's also a 60 minute version.) In a warm steam room, with candlelight, music and aromatherapy, this treatment allow you to completely escape and trust me, I did. With a body scrub, Vichy rain bar water massage and hydrating body butter, afterwards I felt completely renewed. The Vichy treatment can also be completely customized to meet your needs. So for example, if you have difficulty handling tons of steam like I do, just let them know. They were super happy to accommodate my needs and make the treatment as relaxing and comfortable as possible. I left Savi Spa relaxed, hydrated and glowing! Post-spa I was hungry and ready to eat (so was S!) and so we headed to Matriarch Lounge at Alma Mater for happy hour and an early dinner. One of Tacoma's hottest new spots, Alma Mater is an artist collective also home to an incredible breakfast place (Honey, we made plans to return) and where we chose to have drinks and dinner, Matriarch, a Peruvian restaurant/lounge. The Matriarch space was perfectly inviting and we were seated at a table near the bar. The noise level remained a low hum, allowing for conversation, and the lighting was right on point for a lounge featuring handcrafted drinks and delicious food. We started with drinks, S choosing a whiskey and I, The Bohdi Tree cocktail. We each approved with delight. Next up was food and we chose to share a few different plates from the Smalls & Shares section of the menu, allowing the opportunity to taste more options and still leave room for dessert. Everything was so delicious and we seriously loved every bite, cleaning each and every plate. After a few drinks and full bellies, we headed back to Hotel Murano for a restful night sleep and looking forward to our last day of exploring Tacoma before heading home to Seattle. After another night of beautiful restful sleep in our Hotel Murano hotel room, we were ready for our final day in Tacoma. The perfect start to our finale was breakfast at Bite Restaurant. After packing up our room and checking out of the hotel after the most lovely stay, it was time to fuel up at Bite. 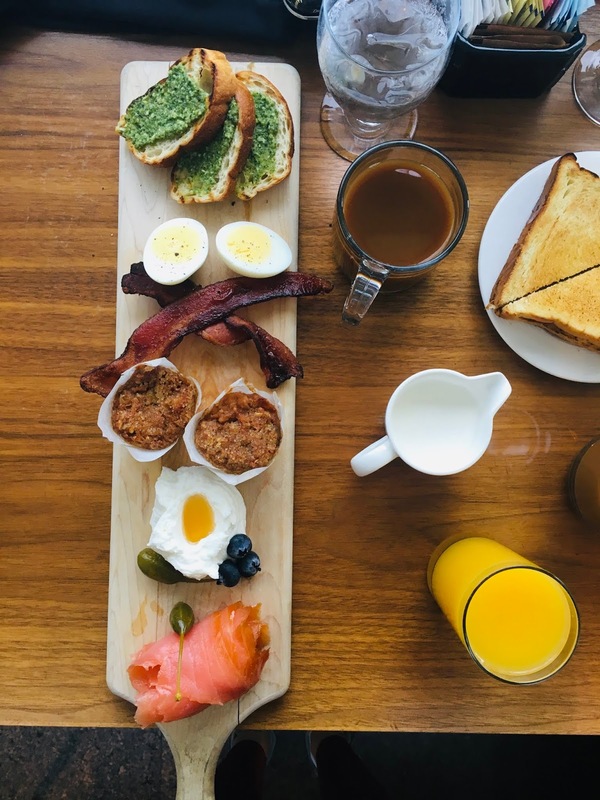 This time, S went with the most amazing looking breakfast board featuring Greek yogurt with honey, muffins, pesto toast, eggs, bacon and smoked salmon. I chose the Greek yogurt, house made granola, jam, toast and orange juice. We both ordered coffee. We ate every last bite, this breakfast was best! It was now time for our final stop of our weekend in Tacoma. Named the best Park in Washington State by Time Magazine, Point Defiance Park is a 760-acre park with natural forest, saltwater beaches and stunning views. We grabbed a coffee at Anthem coffee at Point Ruston before heading into Point Defiance Park to drive the Five-Mile Drive. With designated viewpoints and hiking trails along the drive, it's the perfect place to start a visit to Point Defiance and an ideal spot for photos of ferry boats near Vashon Island and breathtaking Puget Sound views. Inside the park, there's also a rhododendron garden, a rose garden, a Japanese garden, a dahlia test garden and fuchsia garden, as well as Point Defiance Zoo & Aquarium (the only zoo/aquarium combination in the Northwest), Point Defiance Marina and Fort Nisqually Living History Museum. You could easily spend days at this park and S and I quickly knew this was a place we wanted to return to spend more time. However, as the hours passed, we knew it was time to say goodbye to Tacoma,WA and head home. The City of Tacoma had captured our hearts and with such a quick drive from Seattle, we knew this would not be a final goodbye, but this trip instead a hello to a new City we hope to continue to explore further. Sitting at the foot of Mount Rainier and on the saltwater shores of Puget Sound, with a world-renowned collection of glass art, a vibrant downtown core alive with walkable boutique shopping, restaurants, museums music venues and historic theaters, a free light rail, stunning waterfront and beautiful parks, Tacoma, Washington is the perfect spot for an urban getaway. I'm already planning my return visit. 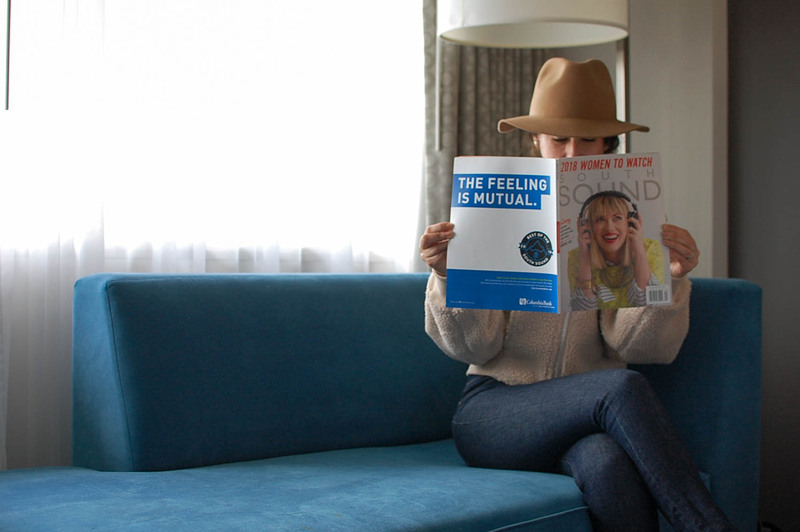 Tacoma's only full-service upscale hotel. 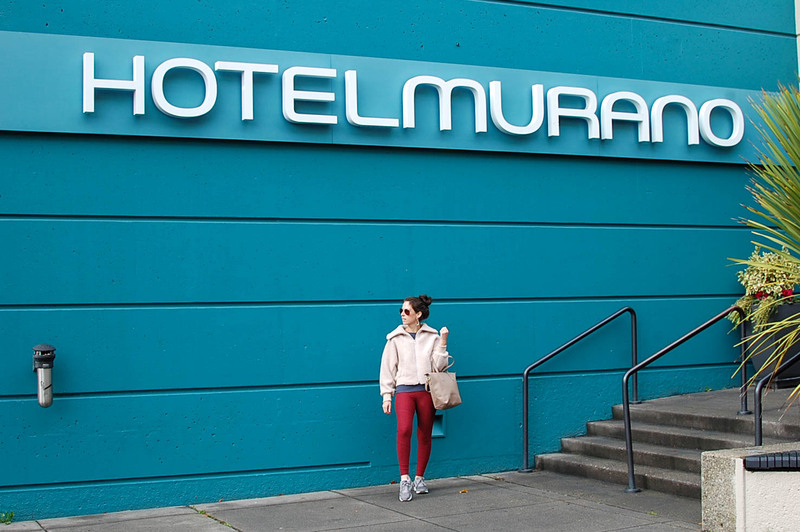 Centrally located in downtown Tacoma, Hotel Murano is just blocks from restaurants, shopping, and museums. The in-house glass art collection of this hotel is incredible, with a piece by an internationally known artist on every floor. 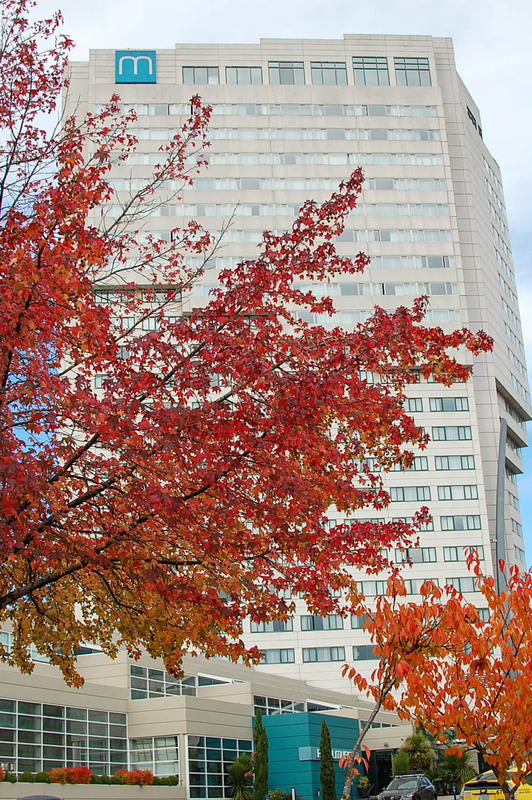 Located in the heart of Tacoma's financial and theater districts. 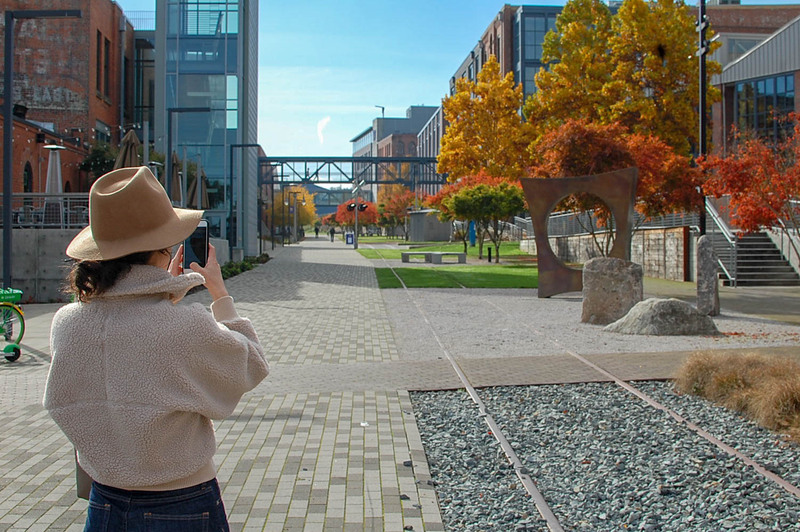 Just steps from the city's convention center, museums, restaurants and the University of Washington-Tacoma campus. Light rails runs from the hotel to City attractions. 2,400 pieces of Dale Chihuly glass art worked into three separate installations makes this pedestrian bridge one of the most photographed spots in Tacoma. 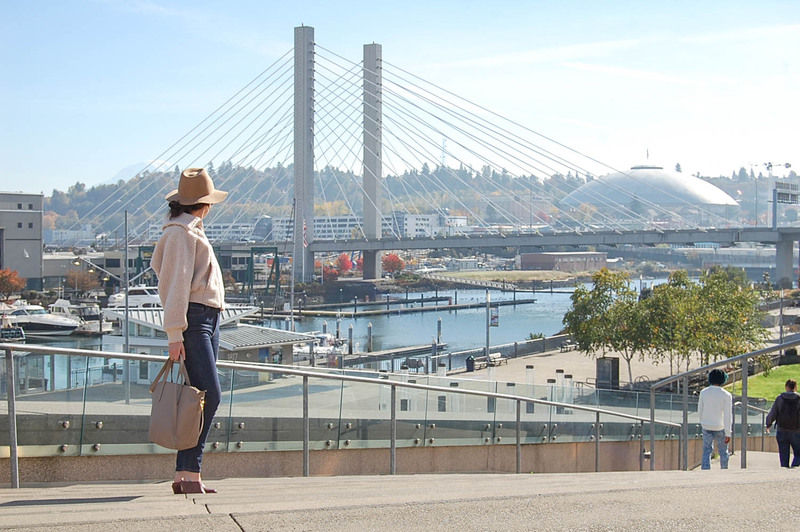 It's the perfect way to walk from downtown Tacoma to the waterfront and connects Pacific Avenue to the Museum of Glass. Linger at sunset on a date and see why it's one of the most romantic places in Washington State. 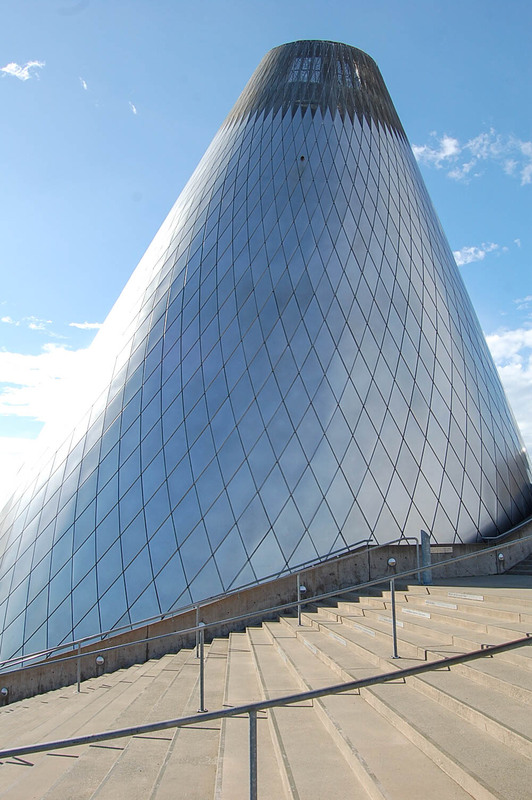 Architecturally gorgeous museum with an incredible collection of of glass art, as well as a functioning hot shop with auditorium, where you can watch glass artists work. Free admission 5p-8p on the third Thursday of every month. Running along the Museum District is Pacific Avenue, a historic district full of brick buildings, cute boutiques, coffee shops, art galleries, bakeries and craft breweries. All are within walking distance. Parking along Pacific Avenue is $1/hour for metered parking or you can take the free light rail that runs along Pacific Avenue from the Theater District to Union Station and to the Tacoma Dome. 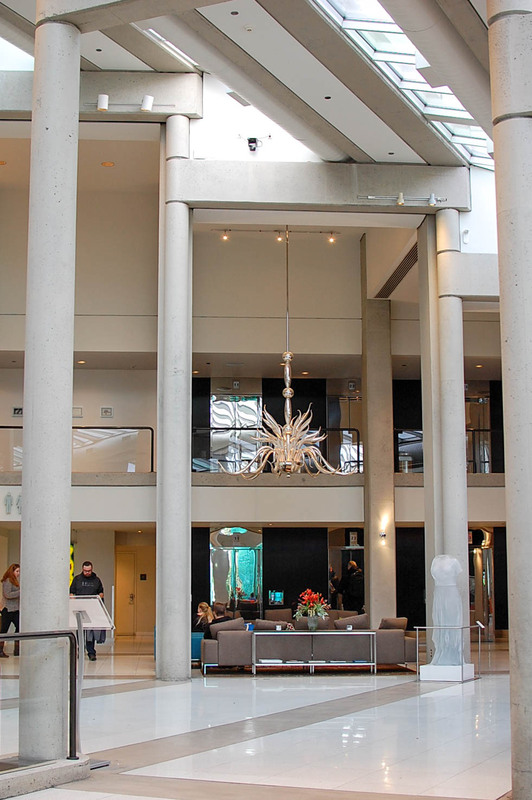 It's also walkable from Hotel Murano and the Convention Center. 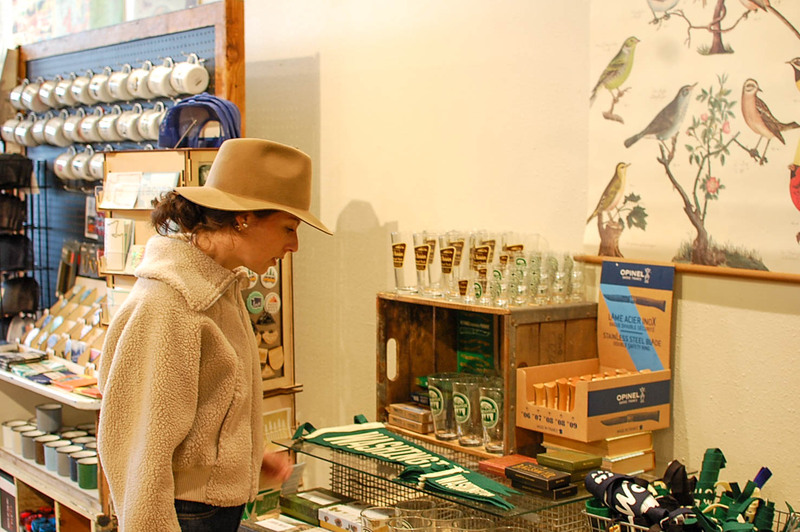 A great boutique with a Tacoma-centric flair to it. 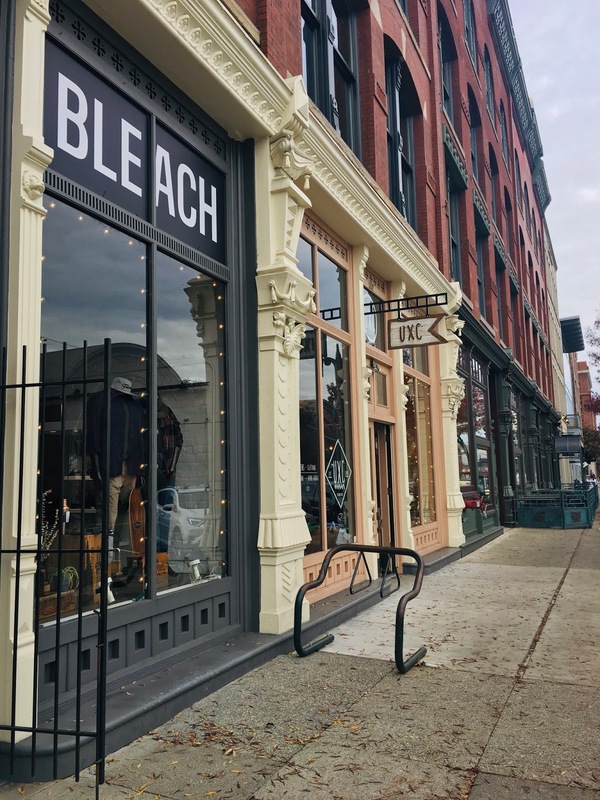 Showcasing the best of Tacoma and local artists, it's the perfect spot for gifts, souvenirs, and beautiful jewelry. Stocklist is sister store to The Goods at Washington State History Museum, located across the street. Originally founded in 2013, Satori has evovled into a storethat is known for carrying exclusive brands, locally made goods, unique gifts and accessories. A unique vintage & modern clothing shop. Find one of a kind vintage and designer pieces, vintage housewares/home decor, locally made jewelry, small houseplants and more. WHAT TO DO continued . . .
Premier luxury day spa located inside Hotel Murano. Offering facials, massages, body scrubs, manicures, pedicures, waxing and more. Highly recommend the SAVI Body Polish Vichy Treatment for ultimate relaxation and skin results. The Ruston Way waterfront is one of the most popular outdoor spots in Tacoma and for good reason. 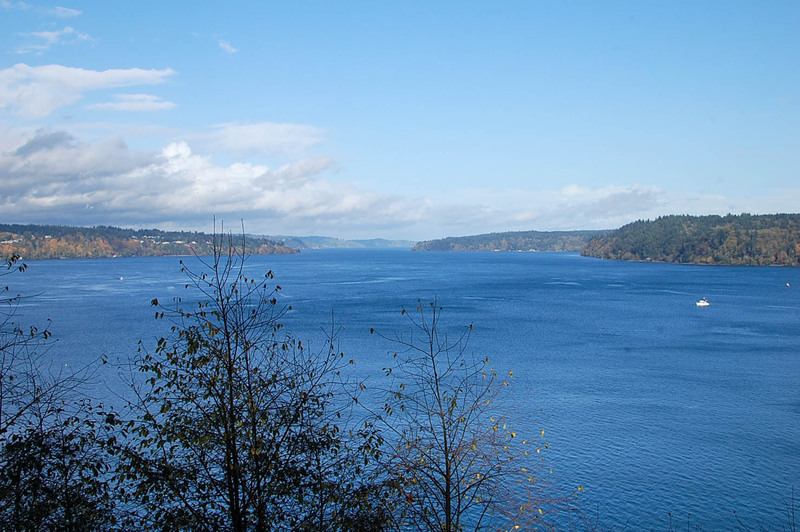 Dotted with small waterfront parks and small beaches and connecting downtown Tacoma with Point Defiance Park, the Ruston Way Waterfront is a coastal road offering a 2-mile stretch of paved walking trail and stunning views of south Puget Sound. The largest City park west of the Mississippi River, 702-acre Point Defiance Park features a rhododendron garden, rose garden, Japanese garden, dahlia test garden and fuschia garden, as well as the only zoo/acquarium combination in the Northwest and a historic fort/living-history museum. You'll also find old growth forests, playgrounds, saltwater beaches, waterfront promenade and a marina with boat rentals and launch facilities. Grab a coffee at Anthem at Point Ruston before heading to Piont Defiance Park. Once at the park, drive along Five-Mile Drive (Don't miss the designated viewpoints along the drive for stunning south sound views! ), or park and hike the trails that run throughout the park. 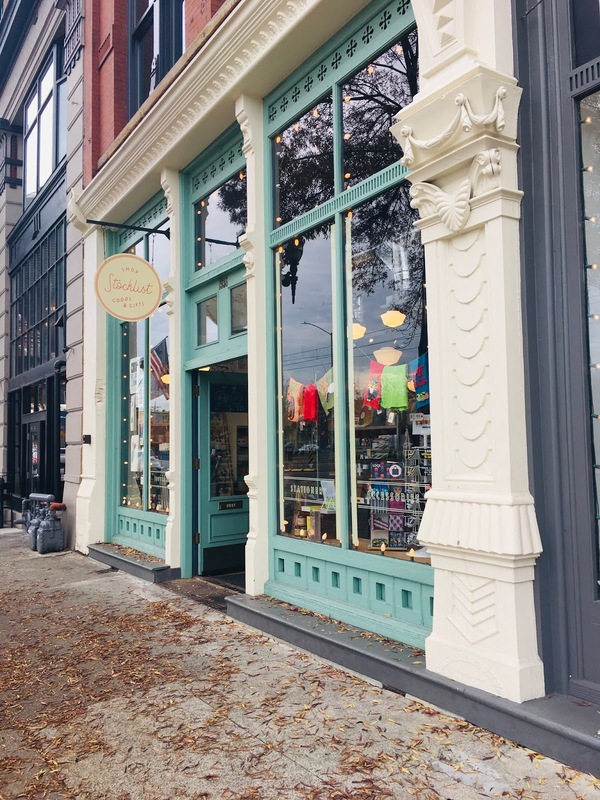 One of Tacoma's most historic districts, Stadium District is filled with upscale, trendy new restaurants, cafes, shops, parks, beautiful historic homes and tree lined streets. Where 10 Things I Hate About You was filmed and named the most photogenic public school in the country, Stadium High School is a historic landmark and the soaring towers have led Stadium H.S. to be called America's Hogwarts. Bean-to-bar chocolatier with handmade confections. 27-acre arboretum and public park featuring sculptures, fountains, rolling hills, bridges, free seasonal sprayground (May-September) and year-round botanical conservatory. There is also a bocce ball court that can be rented April 1-September 30. 6th Avenue is Tacoma's youngest neighborhood and was just voted the 2018 neighborhood with the best vibe. You'll find bars, pubs, coffee shops, vinyl record stores, clothing boutiques, art galleries and vintage stores. Explore 6th Avenue starting at Bluebeard Coffee (2201 6th Ave, Tacoma, WA 98403) and going west to Union Ave. Be sure to check out the House of Records if you're at all into music, and especially vinyl. Excellent pinball bar with a cool alt vibe. 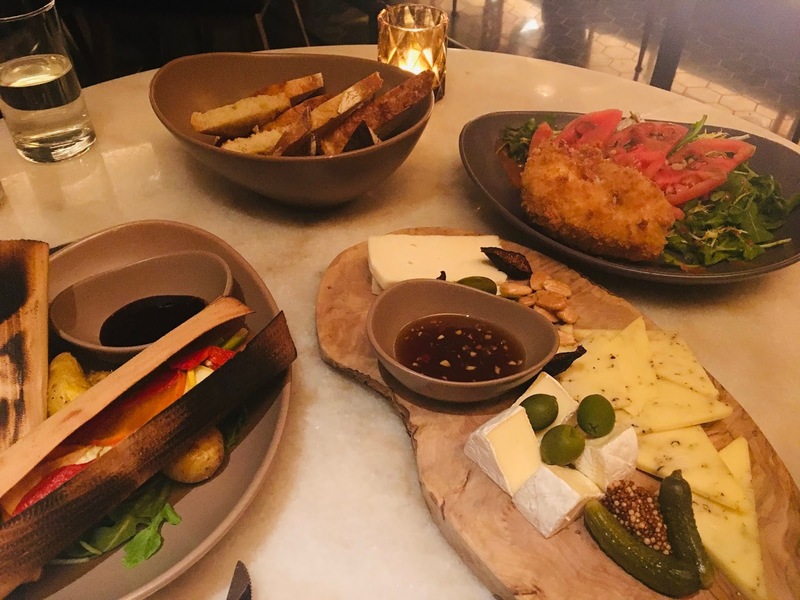 Hotel Murano's Bite Restaurant focuses on local and seasonal American cuisine, in a stylish, art-filled setting befitting a hotel that's centered around art. Our 2 breakfasts here were delicious. Go for the breakfast board! One of Tacoma's hottest new places, Alma Mater is an artist collective that also has an incredible breakfast place (Honey) and a Peruvian restaurant/lounge (Matriarch*.) Our drinks and dinner at Matriarch was so good! Highly recommend the Bohdi Tree cocktail. The perfect cup of coffee! With five locations and incredible local roasts, Anthem is looking to be Tacoma's flagship coffee. Just opened in Summer 2018, Moshi Moshi is Tacoma's first ramen spot. The high-design restaurant with a small seating area has the tagline of "handcrafted everything." Great retro spot for shakes, burgers, fries and the iconic EAT sign. An old-timey espresso bar, also serving crepes, salads, sandwiches, and bubble teas. Located at Point Ruston. Wood fired pizza. Located at Point Ruston. Known for moonshine cocktails, and for Parmesan tots that were featured on the Food Network's Diners, Drive-ins and Dives. Tacoma's most well-known local third-wave coffee roaster/cafe. A quick bite of doughnut greatness. Getting around downtown Tacoma is easy and free with the Tacoma Link Light Rail which provides complimentary service 365 days-a-year from one end of downtown to the other. Hop on to ride between the six stops at: the Tacoma Dome, South 25th Street, Union Station, the Convention Center, South 11th Street and the Theater District. Parking is free in the six-story Link garage located next to the Tacoma Dome station. The link travels between ends approximately every 12 minutes. Tacoma, Washington is just 18 miles south of Sea-Tac International Airport with easy access from Interstate-5. Thank you Travel Tacoma for partnering on this post and graciously providing breakfasts at Bite Restaurant, dinner at Matriarch at Alma Mater, spa treatment at Savi Day Spa, admission to the Museum of Glass, a shopping certificate to Stocklist and overnight accommodations at Hotel Murano in Tacoma. Affiliate links are occasionally used throughout this site, which means I might make a small commission if you click on a link & make a purchase. Products gifted are marked c/o. Thank you for supporting Story of My Dress! All thoughts are my own! Wow! I'm totally inspired. Time for Carl and I to make a date!